(AUSTIN) — The first draft of the Senate version of the state budget was filed Tuesday, setting the baseline for the coming negotiations on how the state should spend money and meet critical needs. The bill, SB 1 by Finance Committee Chair Jane Nelson, would spend $103.6 billion in state revenue over the next two years, which is less than the $104.9 billion projected in tax and fee collections for 2018 and 2019. "This base budget is a starting point, and I look forward to working with my colleagues to develop a balanced budget that addresses our needs and strengthens our economy," Nelson said in a statement. "While we will need to prioritize and make efficient use of our resources, I am confident we can meet the challenges ahead." With revenue down and population growth continuing, Nelson highlighted three areas where critical decisions will need to be made. First is making sure the school finance system better meets the needs of students. Second, the state must deal with skyrocketing health care costs in Medicaid and state pensions. Finally, state funding must address mental health needs in Texas. “We have difficult decisions to make this session, and we will work tirelessly to address the needs of the state in a responsible manner,” she said. Some proposed expenditures dealing with these areas include $1 billion to address state hospital and mental health facility needs, $63 million to clear the waitlist for community mental health services, and $20 million for a program to help veterans dealing with PTSD or other mental health issues. State public education would get $2.65 billion to cover enrollment growth in public schools and $32 million more for high-quality pre-k programs. For higher education, the budget would maintain spending levels for major financial aid programs like TEXAS Grant. 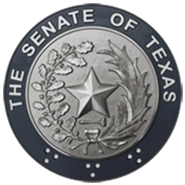 Other key line items include $260 million to improve Child Protective Services, $25 million for high caliber bulletproof vests for Texas law enforcement officers and $800 million for border security measures approved last session. The bill has some spending cuts as well, such as a 1.5 percent across the board spending reduction for all non-public education related expenditures. Further cuts would come from a reduction in spending for non-educational initiatives at state public colleges and universities. It would also implement some of the 4 percent across-the-board agency budget cuts directed by state leadership last July. The Senate will reconvene Wednesday, January 18 at 11 a.m.